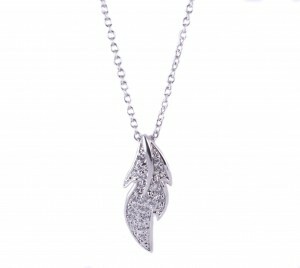 This beautiful and unique stamped 925 sterling silver and cubic zirconia leaf necklace is rhodium plated. 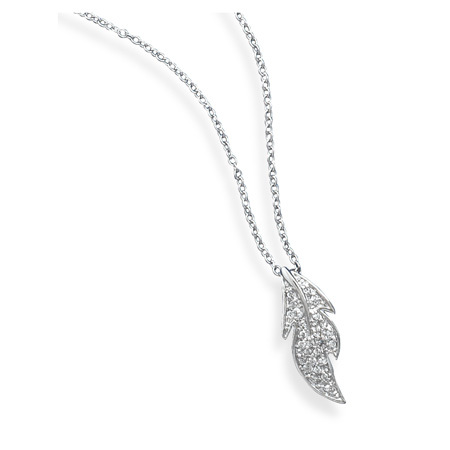 A leaf necklace is perfect to show off your unique style or love of nature collection. The leaf pendant on this necklace shines just right! 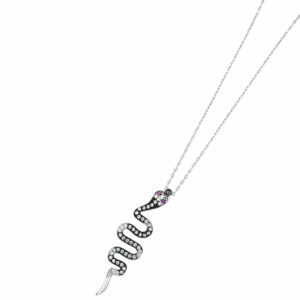 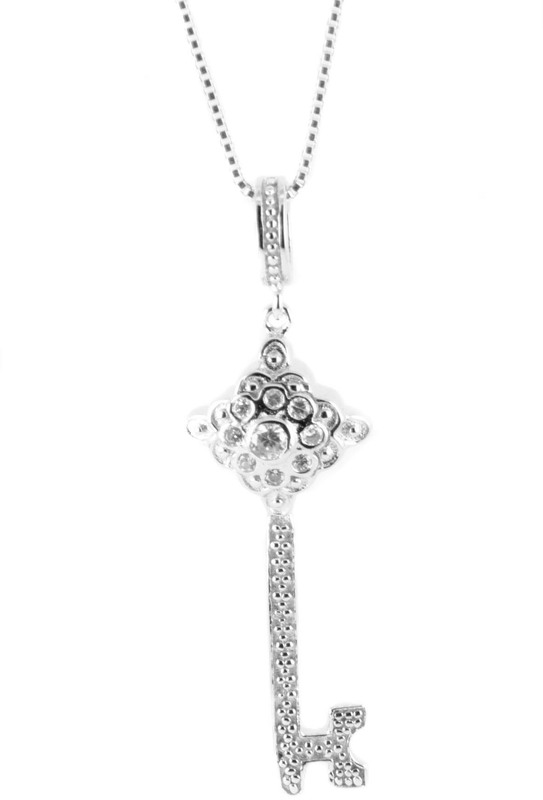 The chain on this necklace is 16 inches and comes with a 2 inch extension. 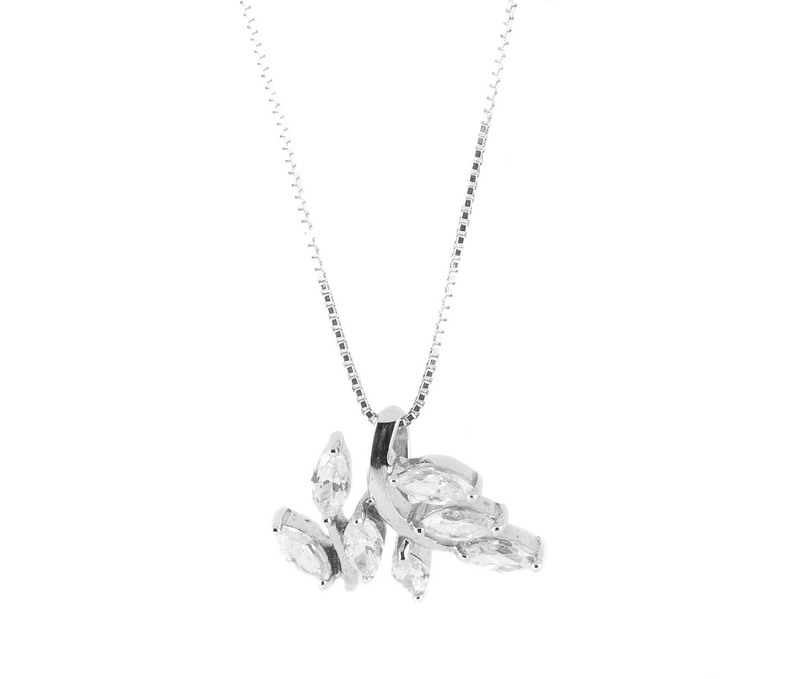 Leaf pendant measures approximately 1.02 in x .41 in and can be removed from chain. 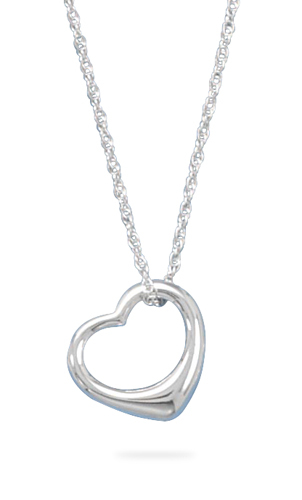 The necklace weighs approximately 3.7g.